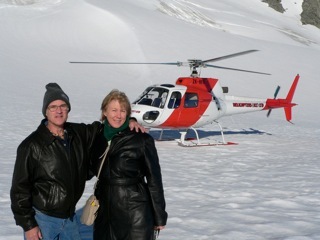 Helicopter flight on top of Glacier - Wonderful feeling. 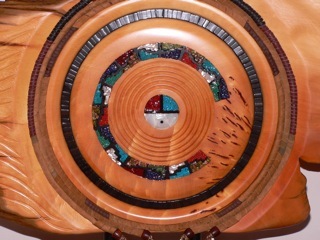 Expression of Art in American Indian design. 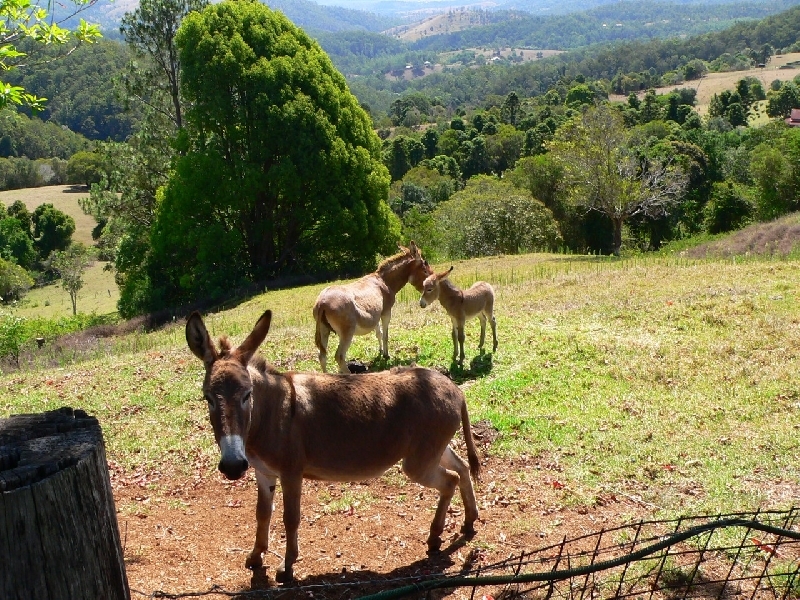 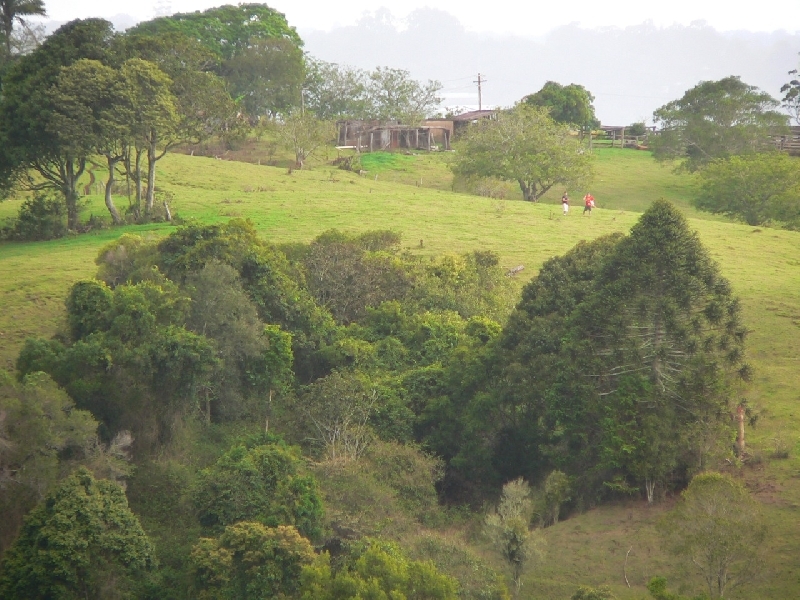 One morning we woke up to gently misty rain over the green hills - it was so beautiful listening to the water fall and the shrouds of mist rising from the valley floor. 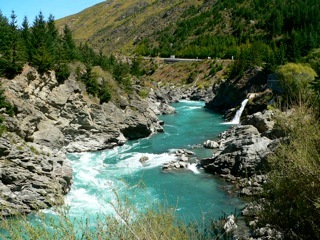 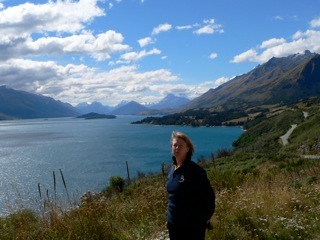 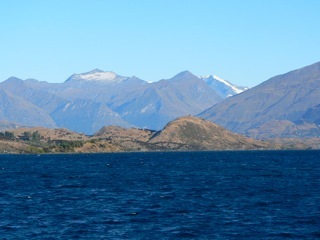 Road to Glenorchy from Queenstown - looking towards the 'Lord of Rings' Fame movie area.